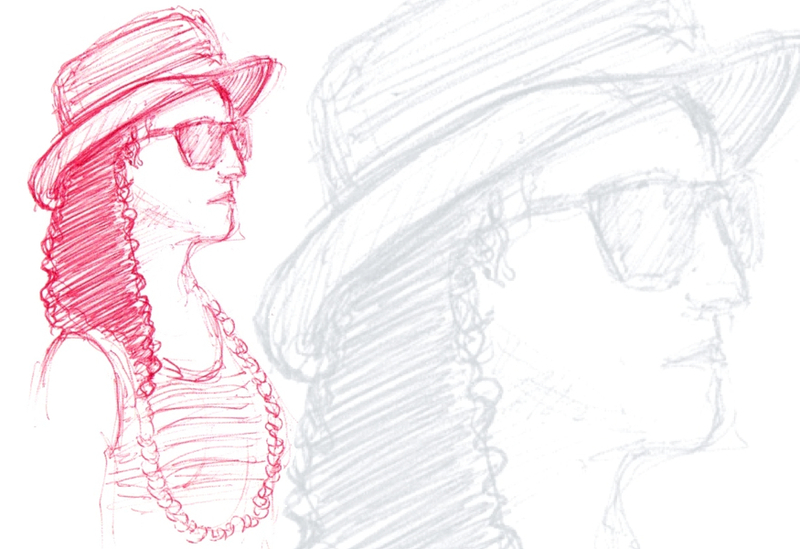 There was a woman in the subway not too long ago who had an interesting outfit on and was wearing sunglasses. It doesn't get sunny in the subway, so right away, someone wearing sunglasses will get my attention. She had a very stiff expression that I tried to capture. It looks like she was trying to be incognito, but the hat and large necklace worked against that concept. Perhaps it was that contradiction that inspired me to sketch her.